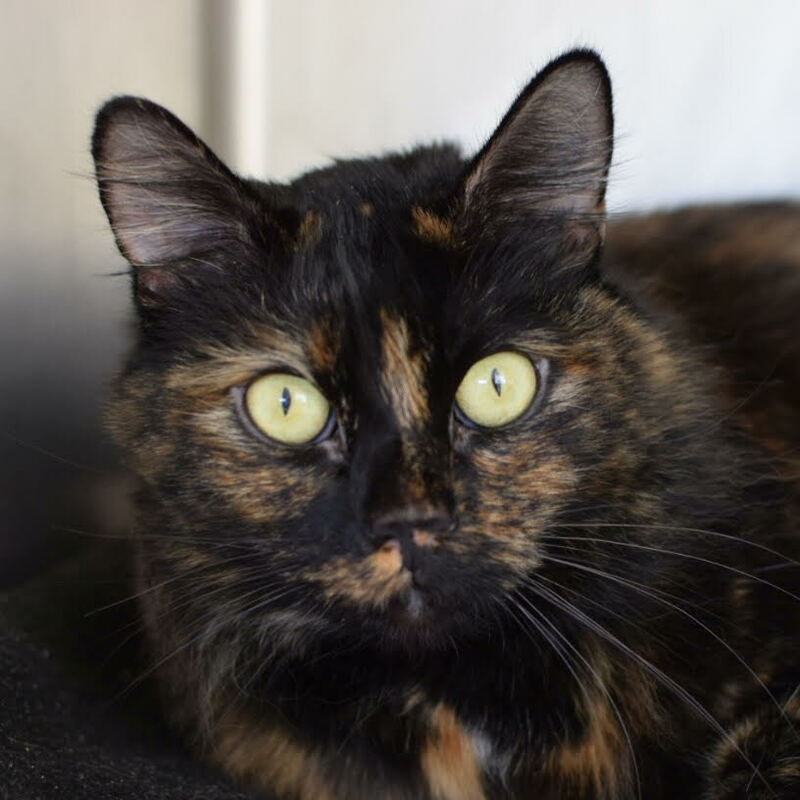 Freckles is a 5-year-old medium-haired tortoiseshell cat. She has a sweet nature and loves to bat around wand toys! She also loves getting chin rubs. Freckles would do best as an only cat. To meet Freckles and other cats needing loving homes, visit ASAP at the Santa Barbara County Animal Shelter, 5473 Overpass Road. Hours are 9:00 a.m. to 4:45 p.m. Monday through Saturday, (open until 7 p.m. on Wednesdays) and 12 p.m. to 3 p.m. Sunday. For more information, call the ASAP office at 683-3368 or visit their website at www.asapcats.org. To meet Freckles and other cats needing loving homes, visit ASAP at the Santa Barbara County Animal Shelter, 5473 Overpass Road. Hours are 9:00 a.m. to 4:45 p.m. Monday through Saturday, (open until 7 p.m. on Wednesdays) and 12 p.m. to 3 p.m. Sunday. For more information, call the ASAP office at 683-3368 or visit their website at: ASAP Cats. Animal Shelter Assistance Program (ASAP) is a volunteer-based, non-profit organization that takes care of the cats and kittens at the Santa Barbara County Animal Shelter. ASAP provides humane care for these animals and works to eliminate the practice of euthanizing them for reasons other than serious health or behavior problems. The following is included in the adoption fee at ASAP: Spay or neuter surgery, Flea treatment, Vaccinations, Microchipping, Health evaluation, including testing for Feline Leukemia (FeLV) and Feline Immunodeficiency Virus (FIV). Cats thought to be 10 years or older receive a full blood panel evaluation, thus assuring that the cat is indeed healthy and adoptable, Medical and drug coverage through ASAP’s vet for 2 weeks beyond adoption, if necessary, Temperament evaluation and Cat Carrier (you can save the County money by bringing your own).